Former agent meets with Alonso, says that he is a "priority for the organization," despite service time restrictions. CARLSBAD, Calif. — Hitting 36 homers, split between Binghamton and Las Vegas, wasn’t enough to get Peter Alonso a September call-up with the Mets. 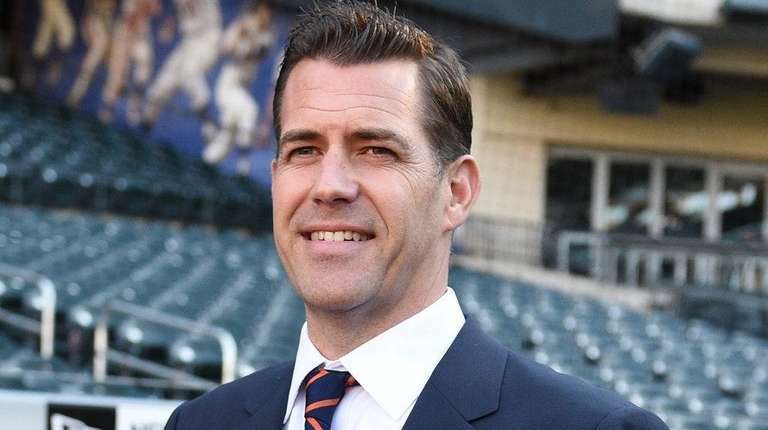 But it did earn him a private dinner over the weekend with Brodie Van Wagenen, and if the new general manager is to be believed, perhaps a chance to be the team’s Opening Day first baseman in 2019. Alonso made it worth the trip by homering off Blue Jays prospect Nate Pearson, smashing a 103-mph fastball over the centerfield wall. As far as BVW is concerned, he’d like to be seeing that in Flushing as soon as possible, regardless of the service-time implications. The obvious GM thing to do would be to keep Alonso in the minors for the first few weeks of April, delaying the start of his service clock to give the Mets an extra year of control. Under the collective bargaining agreement, a player has 187 days to accrue 173 days of service time which then counts as a full year. The Cubs manipulated the system with Kris Bryant, whose 2015 grievance remains in limbo, and from a front-office standpoint, it’s hard to argue with the long-term logic. But in Alonzo’s case, BVW told him that he would start in major-league camp this coming February, with every opportunity to earn a spot on the Opening Day roster. 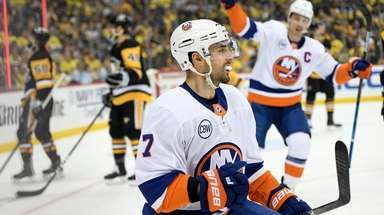 And if Alonso’s spring performance merits that promotion, BVW insists he won’t hold him down.“My goal is to win as many games as I can,” BVW said. While that’s typical GM-speak, this time it could be different, considering BVW’s agent background. After all, it’s the agents that have been fighting this annual service-time battle on behalf of their clients. And if BVW still feels the system is unfair— even though he’s on the other side — then he now has the power to do something about it. Alonso caused a stir when he and his reps publicly aired their frustration over his September snub. But after a sitdown with Omar Minaya in Flushing, he cooled off some before meeting the media at Citi Field. Despite everyone seemingly putting the matter behind them, it was a smart move by BVW to stop over in Arizona on the way to Carlsbad for the meetings. It’s not like the Mets are stocked with prospects at the moment, so making sure that Alonso was feeling better about his situation couldn’t hurt. Anything to provide some additional motivation for the winter ahead. If BVW resists any trade offers, and Alonso does make it to Port St. Lucie next spring, they’re going to need his righthanded power. Yoenis Cespedes — BVW’s former client — is coming off double-heel surgery and likely will miss the first half of the season, with no guarantee he’ll be the same intimidating run producer when he does return. Sort of ironic that BVW now has so much riding on Alonso, who basically has to be a replacement for the hobbled Cespedes, a $110-million investment that may end up as one of the worst in Mets’ recent history. Jeff Wilpon could always green-light BVW to double-down on a megadeal for another righthanded bat like Manny Machado, but that doesn’t appear realistic, unless Machado’s October theatrics drop his price tag to a somewhat palatable level. Obviously, BVW still has a lot to learn about being a general manager. He’s only been on the job for a week. In addition to reshuffling the coaching staff, his other big move Monday was to add Ruben Amaro Jr. —- the former first-base coach —- to the front-office mix as another “adviser.” Amaro had a seven-year tenure as GM of the Phillies, so BVW now has three people on his panel that once held that title, along with a fourth, John Ricco, who certainly has the credentials for it. But if there’s one thing that BVW does bring to the table it’s his agent-honed ability to connect with players, and he put that to work this past weekend with Alonso. There is value in that, and the Mets are in the business of maximizing every bit they can squeeze from this current roster. Alonso figures to be a key piece, one way or the other. The sooner the Mets cultivate that asset, the better.